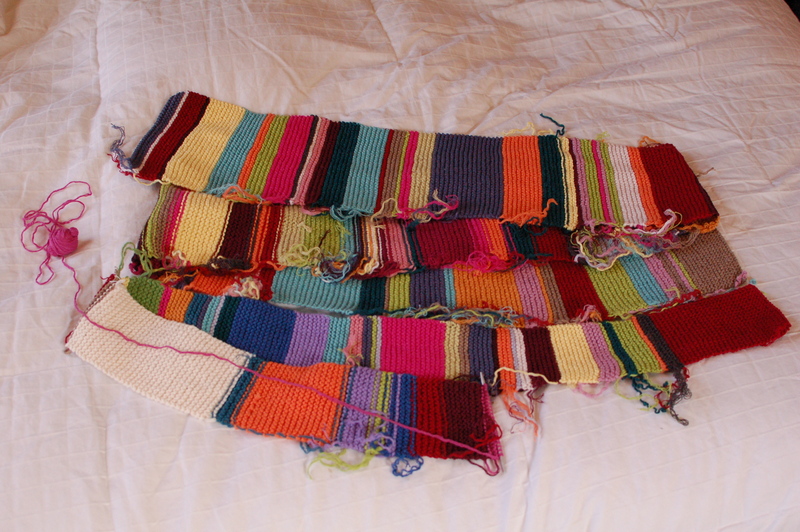 This entry was posted in knitting and tagged afghans, blankets, fiber arts, garter stitch, knit, recycled, stripes, work in progress. Bookmark the permalink. What a fantastic blanket. I’ll bet its going to be a favorite once its completed. I absolutely love the colors. Good luck! It looks very pretty and very different! That will be a lovely splotch of colors in your home! Me neither. And believe me, if that would work, I’d be doing that for sure! I’m sure that will be a treasure when you’re done. it’s going to be beautiful—like a garden. All colors of flowers go together!